An acclaimed Bermuda-born classical pianist has demonstrated to her adopted North Carolina city that music really is the universal language of mankind — and is using her prodigious skills to build bridges in her community. Kimberly Cann, 29, settled in Asheville two years ago and – according to a North Carolina newspaper profile published today [Mar. 9] – soon after arriving rephrased President Kennedy’s famous question: she asked herself not what her new city could do for her but rather what she could do for her city. “With an impressive background that includes winning an important national competition at age 18 and a graduate degree from one of the nation’s top conservatories, the Eastman School of Music, Cann has been quietly making a name for herself by using her considerable musical talents to help local organisations,” reported the “Asheville Citizen-Times”. But she began to make her presence — and talent — known in the city when she enchanted an audience last September at benefit concert held at Asheville’s prestigious concert hall. She and younger sister, Michelle, a student at the Cleveland Institute of Music and herself a rising piano star, played Rachmaninoff’s notoriously difficult Suite No. 2 for Two Pianos to an enthusiastic crowd. The Cultural Centre is dedicated to providing social, educational and economic opportunities for African-Americans and Ms Cann has started planning an ambitious series of events with Darin Waters, a historian of Asheville’s black community. 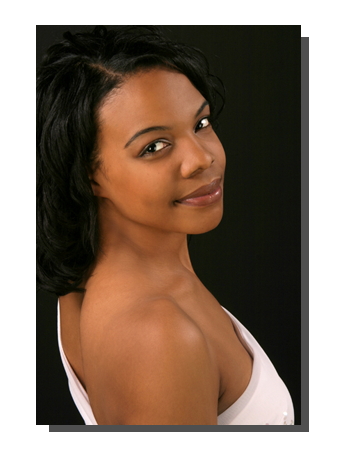 Kimberly Cann began formal piano studies at age six, when her family moved from Bermuda to Fletcher, North Carolina. At age 12, she performed her first solo recital. By the age of 18, she had performed as soloist with five orchestras and was soon to win her first national US piano competition. Her educational forays include study at the Van Cliburn Institute in Fort Worth, Texas, the Brevard Music Festival, and a Masters Degree from the Eastman School of Music. Ms Cann told the “Asheville Citizen-Times” she hopes to spotlight African-Americans contributions to classical music in her performances. One of her standard concert pieces is “Troubled Waters” by Margaret Allison Bonds, the pianist and composer who became the first African-American to solo with Chicago Symphony in 1933. There are four of us sisters, and only ONE of us was actually born in Bermuda! I was born in the states and moved to Bermuda (with my Bermudan father, Leonard Cann, and my Jamaican-American mother, Kaye Cann) when I was a baby. Both of my parents taught at Bermuda Institute, and we have many family members still living on the island. While my earliest memories are of growing up in Bermuda, I cannot state the privilege of having been born there.